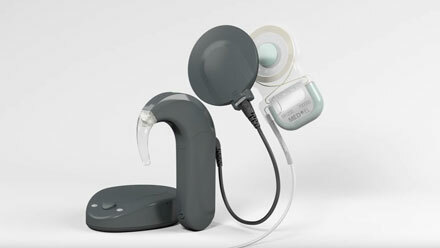 MED-EL auditory brainstem implant (ABI) system is a hearing solution for patients without a functional auditory nerve. 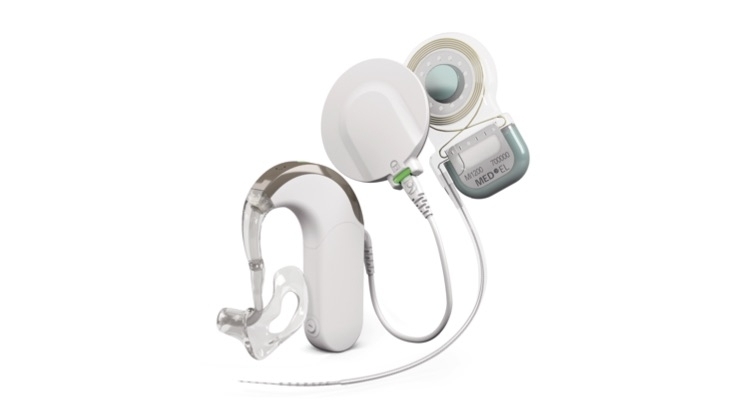 It consists of two major components namely an implant and an externally worn audio processor. 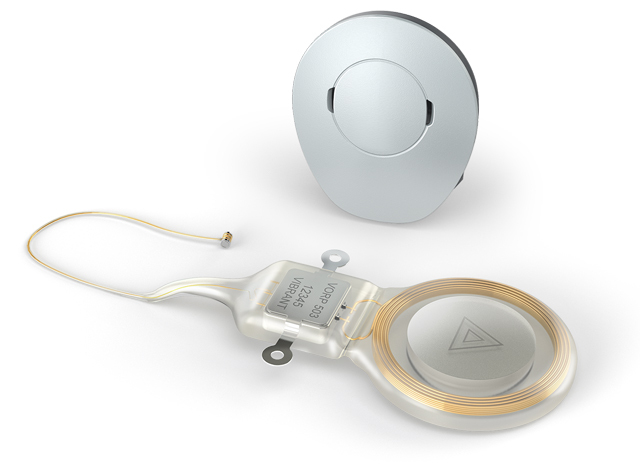 The implantable component, also called the internal brainstem implant is the part that is surgically implanted into the brainstem and consists of a coil, a magnet that holds the audio processor in position over the implant, a demodulator, electrode array, ground electrode and a soft silicone matrix with 12 contact points. The silicone matrix is placed in contact with the neural tissue. The external audio processor is worn on the outside of the skin and contains a battery, one or two microphones and a fully digital signal processor. 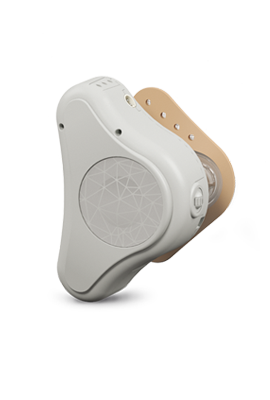 In South Africa ABI patients can be fitted with the SONNET and RONDO 2 audio processors. An ABI converts auditory signals into electrical signals. 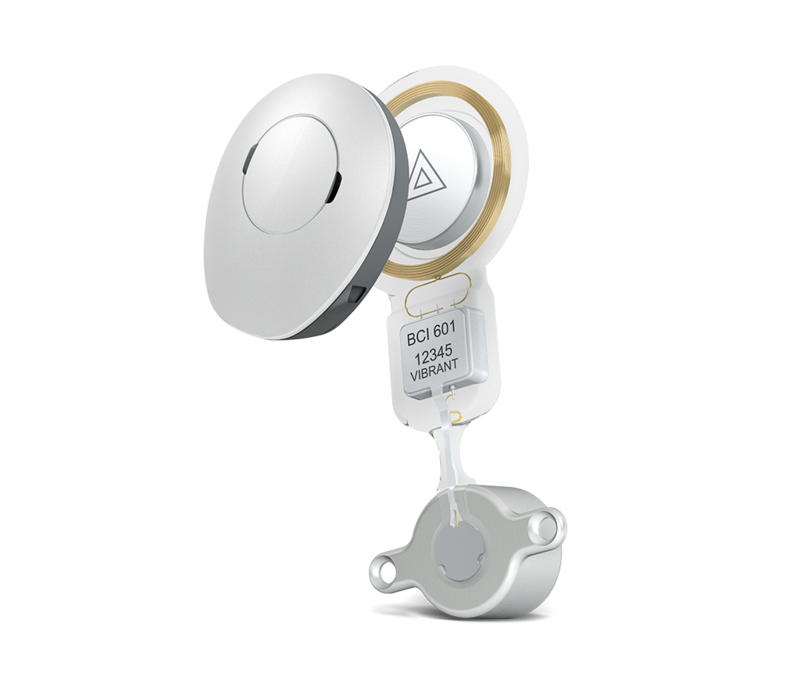 It bypasses non-functioning or absent parts of the inner ear and nerve and provides electrical stimulation directly to neural tissue of the cochlear nucleus (CN) in the brainstem. 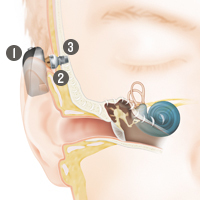 This is interpreted as a variety of hearing sensations which assist with environmental sound awareness and communication. 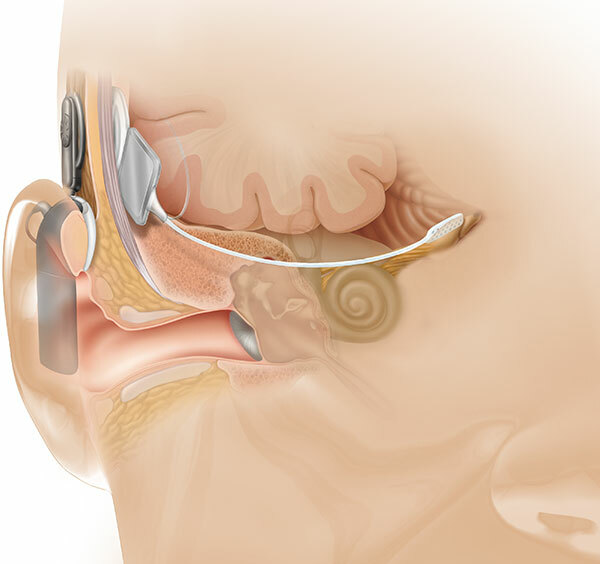 In general speech understanding with an ABI is not equivalent to speech understanding with a cochlear implant. Extensive rehabilitation is crucial for optimal benefit. 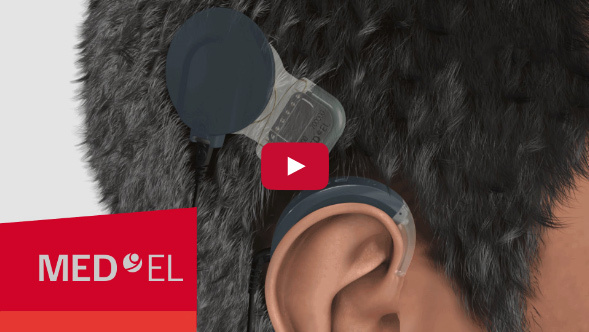 MED-EL ABI system is indicated for patients with non-functioning auditory nerves such as in Neurofibromatosis Type 2 and cochlear nerve aplasia.